Facebook and Oculus have debuted a new VR headset at GDC. The new Oculus Rift S improves on the original Rift's design in a number of aspects to produce a more refined product. 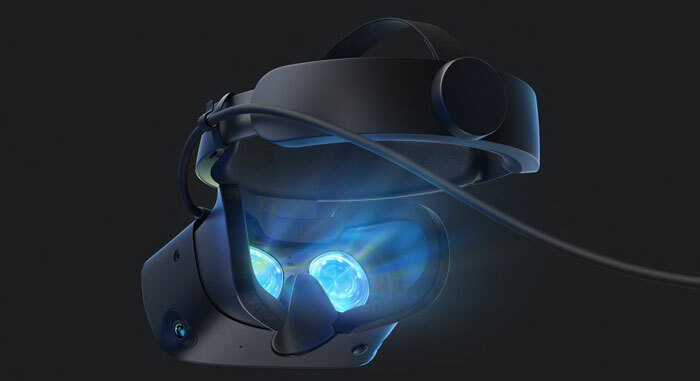 Highlights of the upcoming Oculus Rift S, which requires a tethered PC for processing power, include its higher resolutions screens, and its inside-out tracking. With higher resolution screens in this device users can expect greater immersion. The sharper pictures can offer more lifelike visuals, and with the improved optics "games on Rift have never looked better," according to the headset designers. However, some spec changes seem to be downgrades, like the use of LCD rather than OLED panels, and the refresh rate dipping from 90 to 80Hz. The Rift S features Oculus Insight, the firm's state-of-the-art inside-out tracking technology. In practice this means you won't need to setup external sensors in your room. It is explained that using computer vision algorithms, "Oculus Insight captures, traces, and navigates physical spaces in real time". In addition to the five tracking sensors built-into the HMD the Oculus Touch controllers have been redesigned for inside-out tracking, "bring familiar hand presence and input so you can grab, point, and gesture through the best of VR". Lenovo worked closely with Oculus on the headset design. 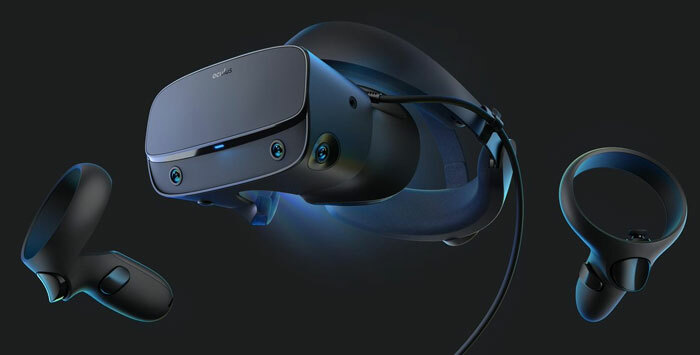 The Lenovo Legion gaming team's input has resulted in the Rift S offering "increased comfort, better weight distribution, and improved light blocking," says the Oculus blog. Users can benefit from a single-cable system for a clutter free experience with Oculus Rift S. Additionally there's a headphone jack so you can use your own favourite headphones with the Rift S.
Passthrough+ has been introduced to provide a true stereo-correct visual passthrough feature to the headset. Users will feel more comfortable with Passthrough+ as there is minimal depth disparity or performance impact in use – and it is a very helpful feature in case you need to see outside of the virtual world for a moment or two. The Oculus Rift S launches in Spring, with an RRP of US$399. Four Hunnerd Bucks…. I'd have to try it first, really. My biggest bugbear on VR is that the fresnel lenses are utter cack for anything not dead-centre of my vision, and since my eyeballs swivel it's a real problem in both FPSes and space/flight sims. 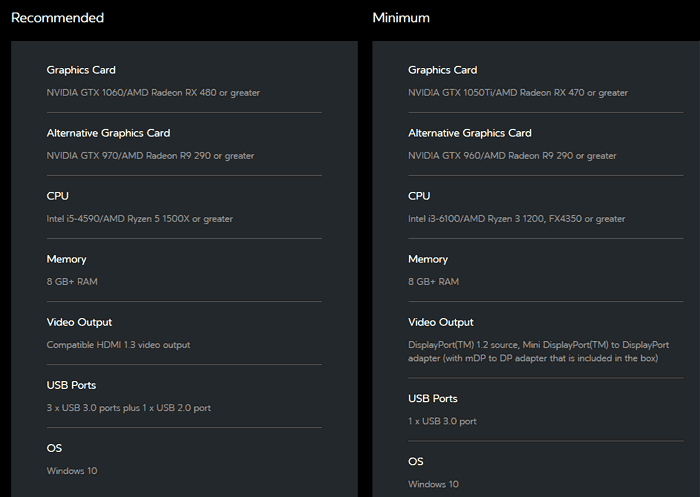 I can live with the compromises to get the increased resolution for that price - if I can get circa £100-£150 for my existing rift CV1 then the upgrade cost will be worth it for me….increased convenience and higher resolution is a huge plus. I never use the headphones that came with the rift anywat as my others are much better so I won't miss those. Mostly just pleased they are not abandoning their PC userbase - I really thought they had given up and decided to go mobile only which was a huge mistake. Own headphones means they can save money faffing about with theirs, and audiophile users can enjoy their own specific setup. I'm quite happy with that part.